USA – Summer continues for Bandit Lites with the Firefly Festival in Dover, Delaware, a four-day musical event with what has been called "the strongest line-ups of any US festival." With seven stages and 125 artists, the four day festival kicked off June 19 and included a craft beer bar, coffee house, arcade and a relaxing area dubbed the hammock hangout. 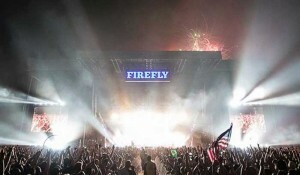 While in only its third year, the Firefly Festival has grown from 30,000 people enjoying great music at an 80 acre site to 80,000 people rocking out on a 300 acre site. 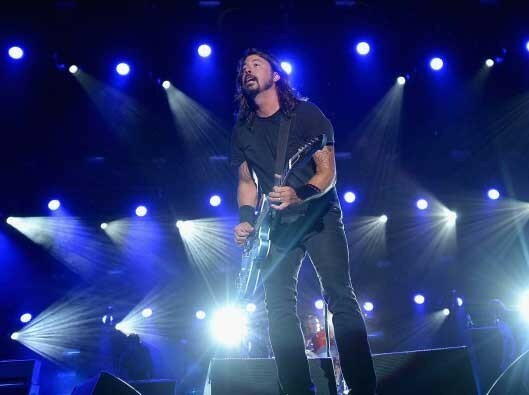 Bandit Lites provided the festival lighting for the four main stages and worked with Leif Dixon who was the LD for both headliners: Jack Johnson and the Foo Fighters, playing on Friday and Sunday nights. The festival line up also included Outkast, Imagine Dragons, The Lumineers, Beck, Pretty Lights, Weezer, Arctic Monkeys, Childish Gambino, Girl Talk and Tegan and Sara. With such a luminous name, Bandit worked to ensure that festival lived up to it by utilizing MAC 2000 beam kits, VL 3000 spots, Martin Atomic 3000 strobes, DWEs, two grandMA 2 full consoles and Lycian M2 long throw followspots. Bandit’s crew for the event was comprised of crew chief Sam Morgan, Westley Palmer, Gavin Lake, Aaron Swetland, Sarah Eucker, Jim Greenawalt, Julie Cox and Andrew Heid. "As Leif was lighting both Jack Johnson and the Foo Fighters, it was decided to use Jack’s touring system as the skeleton for the mainstage headliners on all 3 nights, but "super-size" it by adding a load more VL, Mac and DWE heads," explained Bandit’s Dizzy Gosnell. "Since Jack Johnson’s show was a different kind of lighting show than the Foo Fighters, Leif trimmed the four trusses to make a giant sloping back wall for the Foo Fighters which gave stunning looks: part ‘in-your-face’, and part ‘melt-your-face-off’ when the whole rig was blasted out at the crowd. "The end result for all three headliners was very impressive and gave loads of flexibility. The Outkast staff was extremely flexible to work with as well; the whole weekend was one of harmony, and the end result I feel as far as Firefly goes is a good future in Dover for years to come."